Buffalo Wings and Rings set to open August 1 – Wichita By E.B. 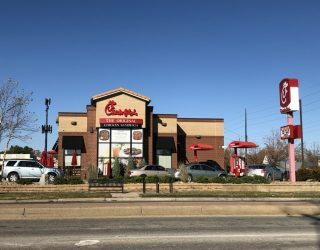 If you’ve been living under a rock, you may not know about the plethora of chicken restaurants making their way to Wichita. The next one prepping to open is Buffalo Wings & Rings. The first of three planned restaurants is set to open August 1 at Greenwich Place at K-96 and Greenwich according to their Facebook page. It is a freestanding building just west of Cavender’s that’s visible off of K-96. The chain based ouf of Cincinnati serves wings, burgers, salads, sandwiches and has a fully stocked bar. If you’d like to get a look at their menu, their website has all the information. There will be plenty of TV’s which could be useful given the lack of fun places to watch games at in that area of town. We will have more on Buffalo Wings & Rings as the date approaches but if you want to get in early for their VIP night on July 30, they are giving five lucky winners a chance via their Facebook page.